Readers of my blog! You know what?? I've booked a 4 day trip back to my Sweden! I got an invite for May to celebrate 'the birth' (it was like 6 months ago) of my sisters son Leopold. I haven't met him yet, because last time I set foot in Sweden was over 3 years ago. This time I'm going alone - which in itself will be hard. Last time I spent a week crying, because I missed my dog, and now I have two kids to miss! I haven't been away even a night from them so it will be tough. But I really need a break. Normally, to get to my little island of Visby, east of Sweden, you have to fly to Stockholm, take a 1 hour 30 min bus into the central, then another hour bus to get to the boat and finally 3.5 hours on the boat! And I hate boats. I vomit, I spend all my money, and it's just bad. 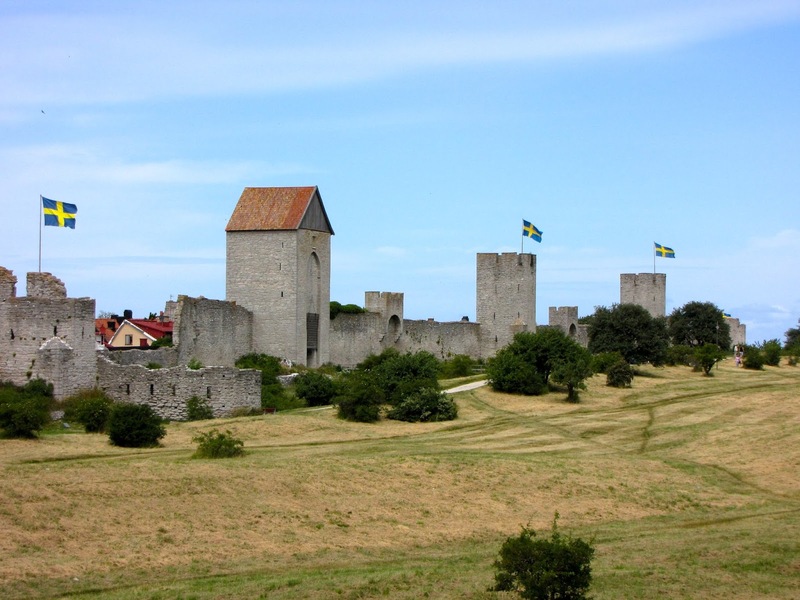 So this time I booked a flight that goes from Stockholm to Visby. These are often quite expensive as the plane is a personal one with about 20 seats! And it is an extremely rough ride. You can feel all the turbulence due to the size of the plane. But now it's done! I'm going away on the 8th of May and coming back on the 12th. Wooooo!